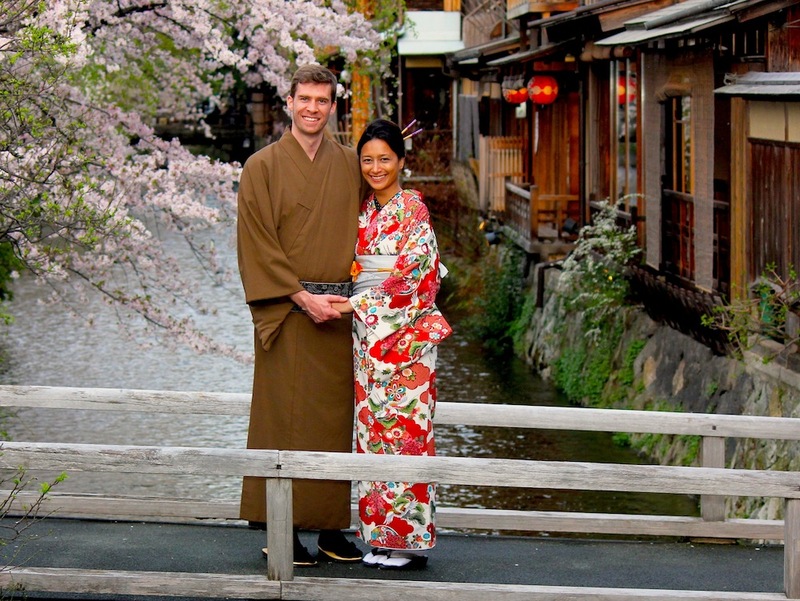 Ben & Elia visitors to Japan for the first time, drove in from Tokyo for a very romantic photo session in the midst of the Sakura in full bloom (and adored by all Japanese for a brief week of eating and drinking and of course photos.) It was the hottest day of the Spring too and we took our time from morning to late afternoon, breaking for kimono dressing.I walked them through the crazy busy gardens of the the Heian Shrine, visitors from China lining to cross the garden ponds and bridges, parted to let us take photos, you wouldn`t know that we weren`t alone there! Catching the moment surrounded by blooms in the sun and in shade of the trees. 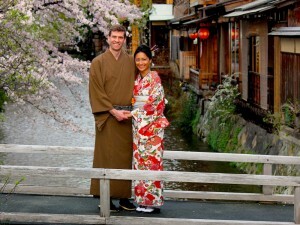 Then we strolled up along the pretty Shirakawa creek running through old streets of wooden houses, to Yasaka Shrine and the kimono dressing shop, in the epicentre of the geisha world. In the shop there was a young Tokyo couple, very cool-looking dressed in kimono. They told us they were here just for the day, by Shinkansen fast train, to dress up in traditional dress in their ancient city, it always impresses me that young people will take the time and pay the premium to feel a real connection to their culture in a sort of time trip a hundred years back to old Kyoto! 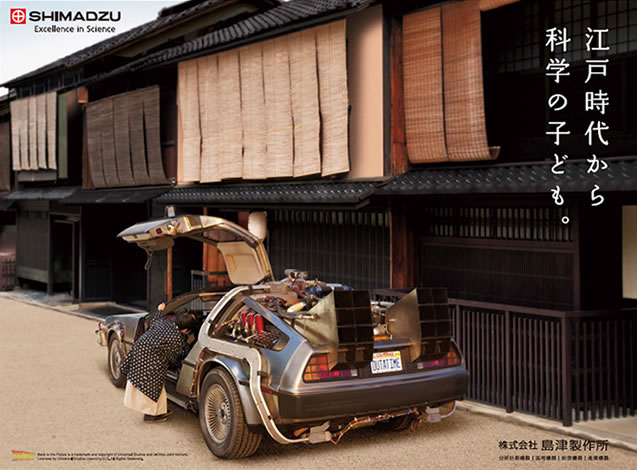 By the way, the large technology company Shimadzu, ran an ad this year showing the famous time travelling Delorean car parked on the very same old streets of Gion, with a young man from the Meiji era getting in for a ride! We had a good day of portraits in various sites in Gion until we captured everything we wished for, and I left the two in kimono to wander while I relaxed and returned home to edit the photos. We had all enjoyed the day.